"The [above] afternoon is a triumph for Björling. Perhaps no other role is so well suited to the tenor's vocal and interpretive gifts as Puccini's lovestruck Des Grieux. Though he was stiff in action on stage, one would never know it from his pointedly inflected, passionate singing. Now at the midpoint of his two decade span with the Metropolitan, musical style and vocal form are in perfect balance." 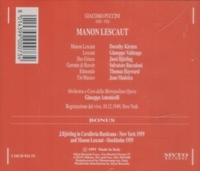 "The [above] MANON LESCAUT performance was just one of those times when everything went right and everyone was at his or her best. 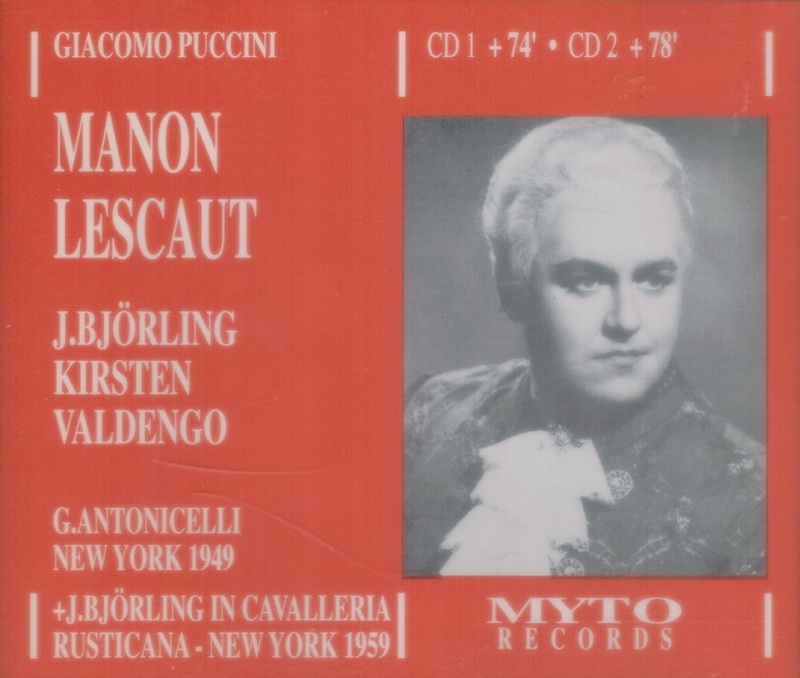 The legendary tenor Jussi Björling as Des Grieux, is in stupendous voice. His singing is ardent, vibrant, clarion and, where called for, meltingly expressive. But the surprise, for some, will be the performance of the soprano Dorothy Kirsten in the title role. Sadly, Kirsten was taken for granted at the Met, as were other American singers during the 1940s and '50s. Hers was not a glamour voice. She was not Renata Tebaldi. But she had a lovely, warm and quite full sound, solid technique, affecting artistry and keen dramatic instincts. She was also a strikingly handsome woman. Today she would have a major Met career. 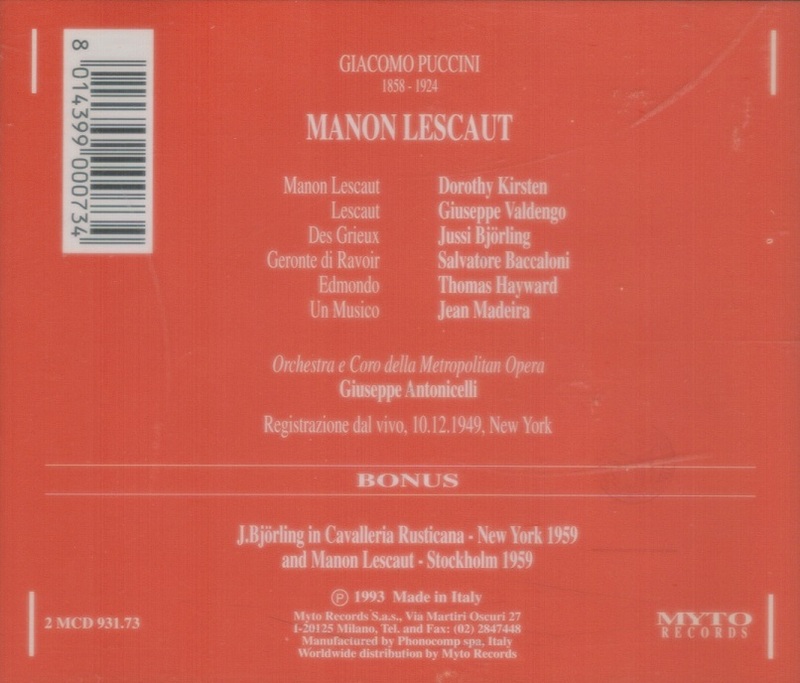 The supporting cast is strong, especially Giuseppe Valdengo as Lescaut."